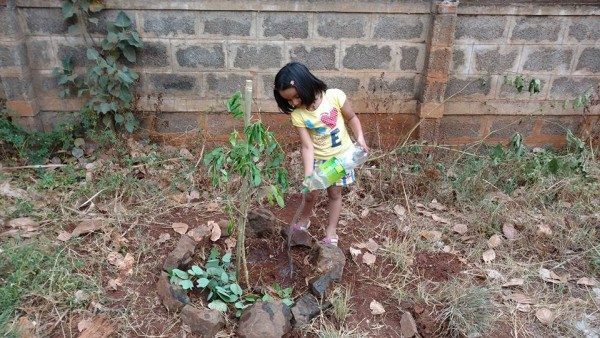 The Green Saviours team continued their plantation drive, uninterrupted for the sixth consecutive week. The members planted more than 25 trees at a park at Syndicate Bank Colony, Ganeshpur. The team also created a composting pit in the park. The Deputy RFO Mr. Teli addressed the members on intricacies pertaining to the methodology of planting trees and proper care taking. He also provided information regarding various support schemes from the Forest Department and assured the Green Saviours of all possible support in their ongoing initiative which involves planting trees across the city of Belagavi. The Green Saviours team especially thanks the residents of the colony for their participation and assurance to take care of the trees. Setting an apt protocol, the team concluded the plantation activity with a collective and spirited rendition of the National Anthem. The team wishes to continue extending invitations to Belgaumites to join the endeavour, especially to provide information regarding other sites in the city where plantation can be undertaken. Good initiative, this is need of the hour. We can form teams, work for some dedicate time every sunday or so. Let’s not life be limited to earning & paying bills. Excellent news. It is indeed the need of the hour. Congrats to the Green Saviours team and the Forest Department and best wishes for success of this noble project and initiative.